A PhD is the most internationally-recognised research qualification. Studying for a PhD allows you to become an expert in your chosen specialist area, and gain high-quality research training that will equip you to undertake subsequent research projects. You will also become a key member of the School’s academic research community. Throughout your doctoral studies, you will carry out original research under the guidance of two supervisors and will produce an original thesis of approximately 100,000 words. For the first twelve months, or eighteen months if part-time, you will be enrolled as a provisional PhD candidate. In this period, you develop a detailed research proposal and write a literature review. This work is then submitted to a panel of examiners who assess it and provide you with feedback and advice on the progress of your research. This procedure is called 'upgrading' and is an important means of monitoring the progress of your work, assessing, amongst other matters, whether your proposal has enough weight to be accurately explored through a PhD research path. After successfully upgrading, you will enrol as a full PhD candidate, complete your research and write a thesis of approximately 100,000 words. The degree of Doctor of Philosophy is awarded on the basis of this thesis, and your viva voce, where you present and discuss the rationale, methods and findings of your original study with an examining panel. A PhD can be taken full-time (three years) or part-time (five years). Our research supervision offers a wide breadth of activity across several key academic teams. The School has approximately 70 students studying towards a PhD who come from around the world, including 50 academic and research staff, working both as individual scholars and through specific groupings or centres. Many of our academic staff are also involved in the Leeds Social Science Institute which fosters interdisciplinary research collaborations and provides training for our postgraduate researchers. 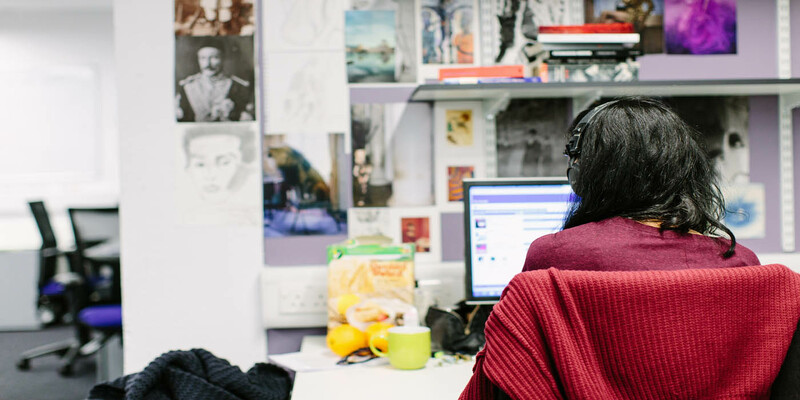 Normally, we expect our PhD candidates to have completed an ESRC-accredited research training programme equivalent to the MA in Social Research provided by the School. The MA in Social Research, in these circumstances, often forms the first year of a 1+3 scheme of study. Some applicants, however, may already have substantial research experience that we can take into account. Although we cater for diverse backgrounds, PhD registration will always involve a doctoral programme, in which you will undergo research training, alongside the preparation of the thesis. We assess the specific research needs of all prospective PhD candidates each year, and you will probably undertake further training to ensure you have the necessary research skills. As part of the ESRC funded Doctoral Training Centre, the ESRC accredits the school for the 1+3 and +3 schemes. We expect all PhD candidates to complete the required research training, equivalent to the MA Social Research by the end of the first full year of their PhD. Consequently, if you are an overseas candidate, you should be aware that we need you to demonstrate you already have, or are willing to undertake, the required research training. However, we understand there will always be exceptional cases and situations where the specific research needs of a researcher have to be considered and the School tries to tailor the research training to individual needs. You should hold a good honours degree (upper second class or first class) or equivalent in sociology, social policy or a related discipline, and hold, or expect to obtain, a Masters degree in a social sciences or related subject. If you are interested in a PhD in the school and would like to discuss your proposal with our Postgraduate Research Tutors please contact Ana Manzano.